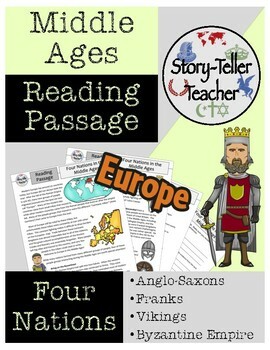 4 Middle Ages Reading Passages!1.Feudalism in Europe - 527 words2.Anglo-Saxons, Franks, Vikings, and Byzantines - 603 words3.Vikings - 613 words4.Byzantine Empire - 636 wordsSee individual passages for descriptions. 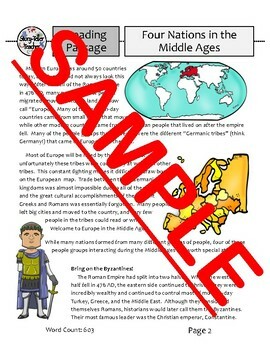 This resource is a reading passage on the four major people groups in Europe after the fall of the western Roman Empire. These four "nations" are key in determining the shape of the European continent today. You can check comprehension by giving students 5 questions or 10 questions. 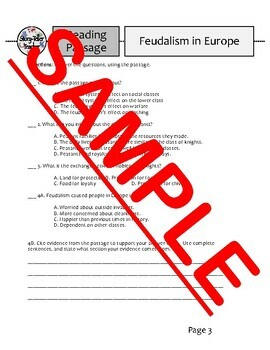 There are multiple choice and sentence response options, some asking students to cite evidence from the text.. The questions are meant to be adaptable to your students and how much time you have! This should preferably be used in a middle school classroom. I let students do this assignment in class individually or for homework. 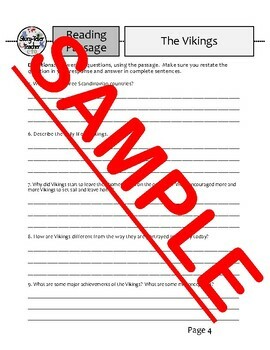 For a reading passage specifically on the Vikings, look here!